I’m a big fan of the fava bean… ever since Hannibal Lector uttered the chilling words “fava beans and a fine Chianti” this year I am growing them, so I cannot wait to have them now grilled straight from the garden. This salad is inspired from a restaurant in the lower eastside I ate at recently, so good, I rustled up some favas and made this version the next night. If you don’t know the drill for shelling fava beans here’s a helpful link. 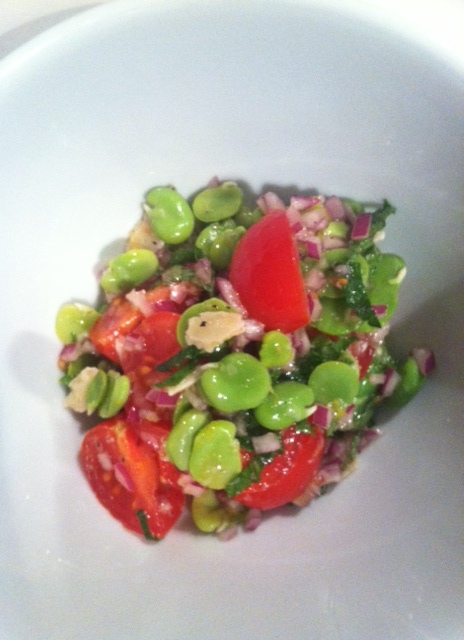 Toss together the fava beans, red onion (or shallot) cherry tomatoes and mint. Whisk together the lemon juice, zest, sherry vinegar and oil. Add to salad, combine, add parmesan and pinch salt and pepper. Serve with crusty bread. This entry was written by thecatskillkiwi and posted on May 11, 2013 at 3:45 pm and filed under Recipes. Bookmark the permalink. Follow any comments here with the RSS feed for this post. Post a comment or leave a trackback: Trackback URL. Oh yum, this looks amazing. 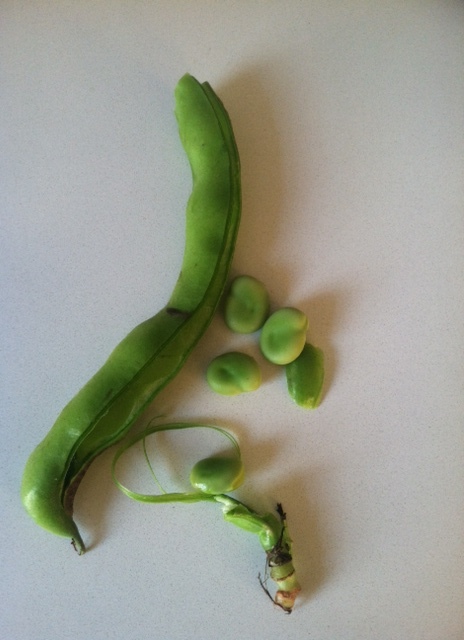 Now maybe I’ll actually buy favas at the market this season! Love the shelling link for the beans, now I’m motivated!